In contrast to last September's pot-holed filled country road, this September has been a relatively smooth ride. Actually, more or less, it's more like being on a crest of a hill. We're a little winded from climbing up, and we're looking around at all the wondrous sites and readers around us. But once we get that nudge, we'll be sailing down fast again. Because of schedule conflicts and the start of school, most of our writers have had a small hiatus from RW from August-September. In lieu of this, we've had a 5-part series on self-publishing, as well as a long overdue "bookish" post. Shall we sneak a peek? In this third part of five, indie children's author Shawn Robinson talks about two major indie platforms: Amazon and Ingram. 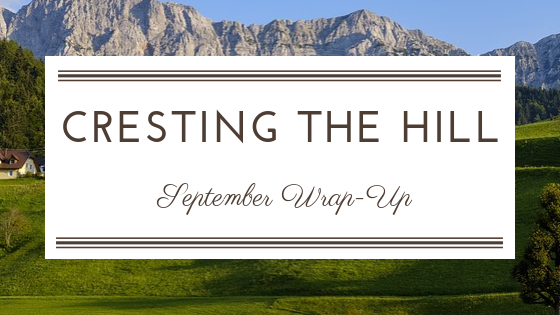 The pros and cons of each are very well researched, I highly recommend you check it out! 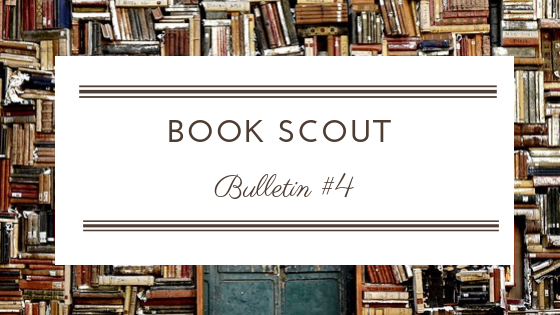 Our first book scout bulletin in over nine months features several great works, including reviews of All the Crooked Saints and The List. Check it out by clicking link above! In this fourth part, Shawn Robinson goes over two topics: advertising the book, and writing contests. It is chock full of facts and avenues for research for the aspiring indie author. 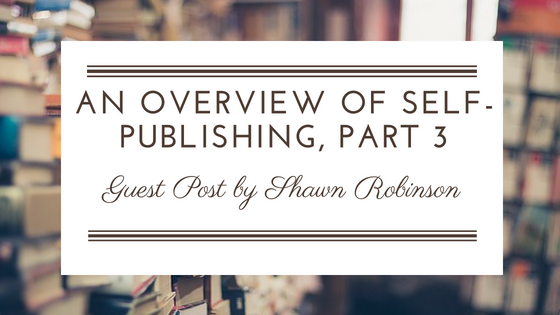 In this concluding post, Shawn Robinson gives some great tips about ISBNs and book formatting - as well as some wonderful advice for newbie authors. Remember, that if you happened to miss any of these posts, you don't have to search through the messy archives. Just click the post title! In the meantime, what has been happening on the social media scene? 94 followers, 29,688 all-time views. 318 followers, 496 tweets, 676 likes. Hmm. The growth of our social media from this month from last month is probably what one would expect from a plant in November....hardly anything. Just so y'all are aware, we are still looking for an Instagram and Goodreads coordinator! Interested parties should email the team at therebelliouswriting@gmail.com. The Simarill Awards have just concluded and what fun they have been! My personal favorite has been the award for the Most Magnificent Dragon, which you can find HERE. Lilah @ The Singing Writer is spearheading a new mental health blog collaboration called "From My Mind to Yours", and she is opening the door to any blogger that wishes to join her. For more information, please email catholicgirlstuff@gmail.com. Hamlette @ The Edge of the Precipice is hosting her 2018 Tolkein Party! Check out this years tag questions HERE. Mary Kate @ Sarcastic Scribblings hosted a lot of guest posts, including ones from Gray Marie Cox, Lila Kims, Catherine Hawthorn, Ivie Brooks and Lilah @ The Singing Writer. Nadine Brandes has revealed the cover for her new standalone novel Romanov, and several bloggers have taken part of the blog tour. If you haven't seen this beautiful cover, check out R.M Archer's post HERE. Our world-building expert Melissa Gravitis has written a new installment of her Questions to Ask series.....about fictional armies! Click HERE to check it out! In our next post, I'll be returning, bearing with me....100 mini-reviews. No, I'm not kidding. We hinted at this event in our June Wrap-Up, but the voting has picked up a lot of steam since then! Until then.....keep fighting the fight, fellow Rebels! Great wrap-up! Let’s keep fighting! Well, we're gonna try! Thanks Nicole! You're welcome, Melissa!! Good luck on exams!